Mauti Suzuki WagonR has been launched with prices ranging from Rs 4.19 lakhs for the base LXi manual variant to Rs 5.69 for the top of the line ZXi trim. Maruti Suzuki India limited has launched the much awaited next generation WagonR hatchback in the country. The next generation Maruti Suzuki WagonR is different from its earlier counterpart in all respects. 2019 WagonR is offered in 7 variants and 6 exterior color options. It sits on a Heartect platform which it shares with the Baleno, Swift and Ignis. It is this platform that contributes to a lighter weight by up to 65 kgs. In terms of dimensions, the new WagonR now stands 3,655 mm long, 1,620 mm wide and 1,675 mm tall. This makes it 56 mm longer, 130 mm wider and 25 mm shorter than its earlier counterpart while wheelbase has been increased by 35 mm to 2,435 mm. Its exteriors look notably different with a new front grille design, larger headlamps and a raised bonnet. It also gets a sturdier structure to comply with stringent crash test norms set to be introduced in the country. Interiors also get modified with a new infotainment system, an analog speedometer and digital tachometer. Maruti Suzuki has equipped the WagonR with dual airbags, ABS, EBD, seat belt reminder, speed alert system and rear parking sensors. Watch the new WagonR TVC below. Maruti Suzuki WagonR is being presented with two engine options. The V and Z variants will get powered by a 1.2 liter, four cylinder petrol engine offers 83 PS power and 113 Nm torque mated to a manual and AMT. The 1.0 liter, three cylinder engine from older WagonR will also be on offer in same configuration. It will power the L and V variant. This engine delivers 68 PS power and 90 Nm torque. Dual fuel LPG and CNG options will be introduced at a later date. 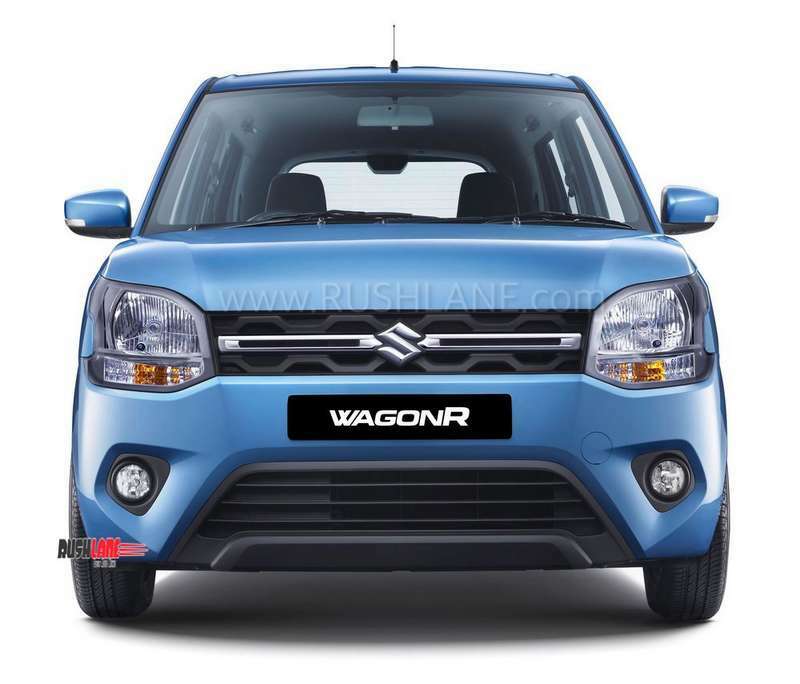 Maruti Suzuki WagonR competes with Hyundai Santro, which is priced from Rs.3.90 to 5.47 lakhs. It also competes with Tata Tiago that comes in a price range from Rs.4.03 to 5.64 lakhs. It will also compete with the Celerio, which is priced from Rs 4.21 to 5.40 lakhs. When asked, will the new WagonR not cannibalize sales of other Maruti cars, company official replied that they do not mind cannabalization, as far as it is among their products.